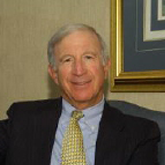 Steve G. Gilden | Schulman, Hershfield & Gilden, P.A. Steve G. Gilden, a partner at Schulman, Hershfield & Gilden, P.A., handles a wide variety of personal injury and workers’ compensation cases. He concentrates on aggressively and efficiently resolving cases for his numerous clients. Mr. Gilden served as an Assistant State’s Attorney for Baltimore City in 1968-1969.